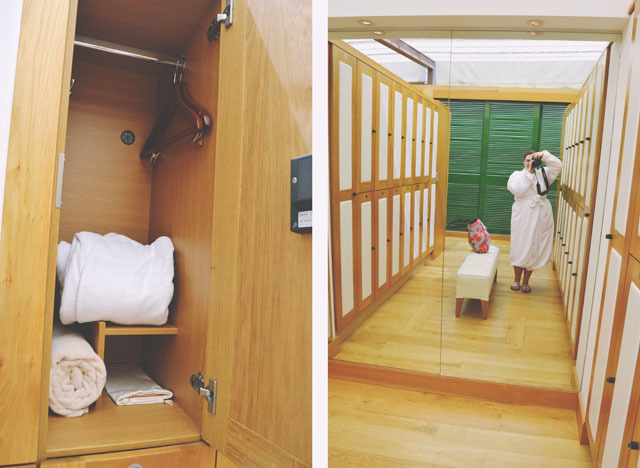 If you've been reading my blog for a little while, you'll know that I've recently suffered with stress and other health problems, so it seemed like fate when Debenhams gave me the opportunity to experience a stress-busting day of relaxation at Four Seasons Hampshire Spa. 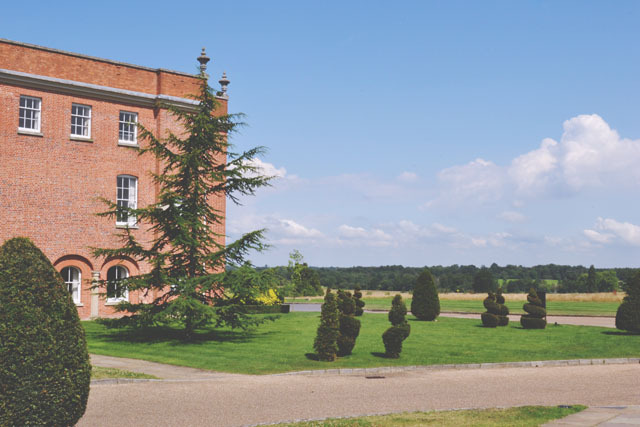 The grounds are absolutely beautiful, with sprawling green countryside everywhere you look. 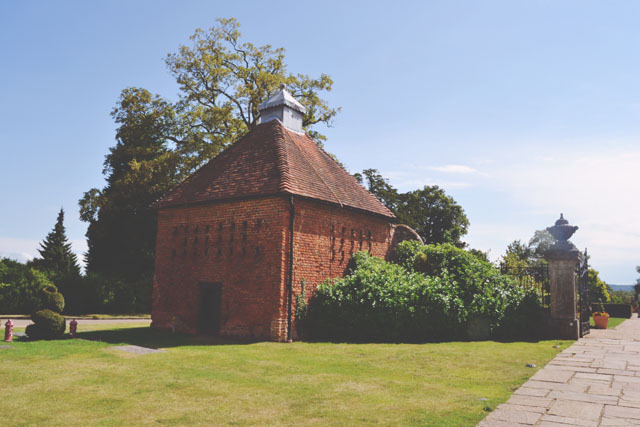 This is the largest dovecote in Hampshire, dating back from when the estate was used as a private residence. 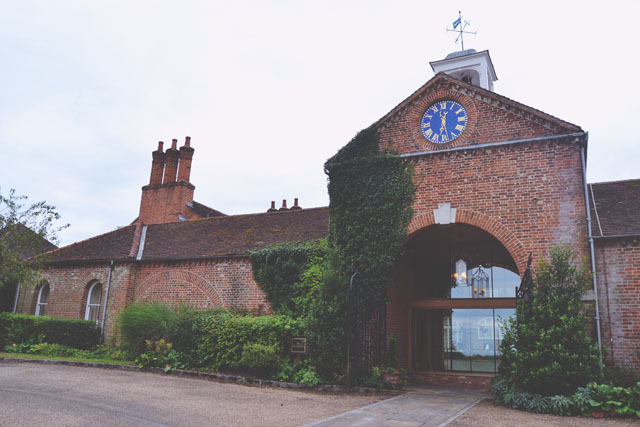 As for the spa itself, it's set in the 18th century stables and is absolutely huge! My experience of spas may be fairly limited, but I'm pretty sure they're not all this big and fancy. 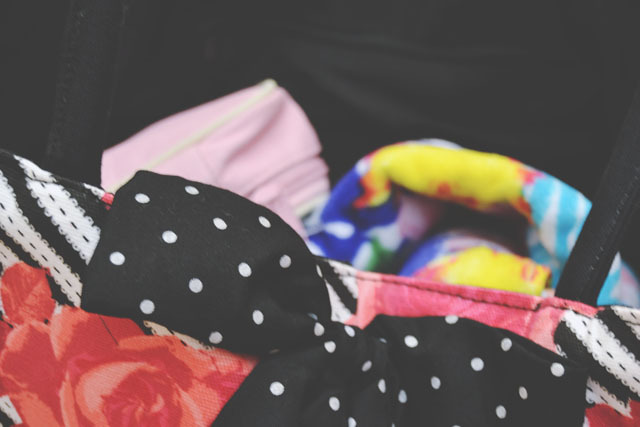 Lockers are provided with a robe and towel, and there are also slippers at the end of each row. This was such a novelty for me, and I went everywhere in my robe which had convenient pockets for essentials like my locker key card (and phone!). 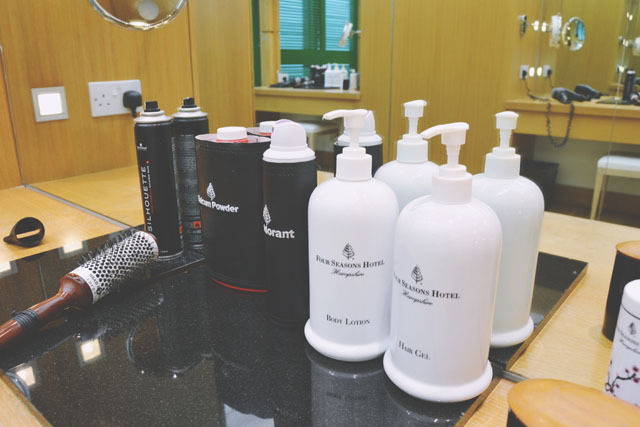 In each of the two huge changing rooms are dressing tables complete with everything you'll need. 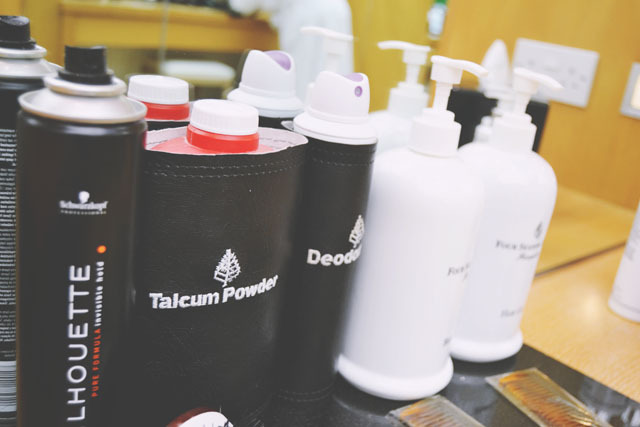 As well as the usual hairdryer and tissues, there are combs and brushes, hairspray and gel, deodorant, talcum powder, body lotion, cleanser, moisturiser and even a pot with cotton balls and buds! 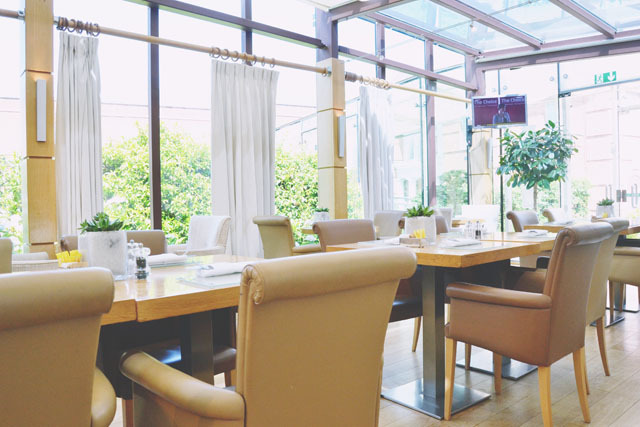 I was booked in on the pamper day retreat, which included a two-course light lunch in the airy Cafe Sante. 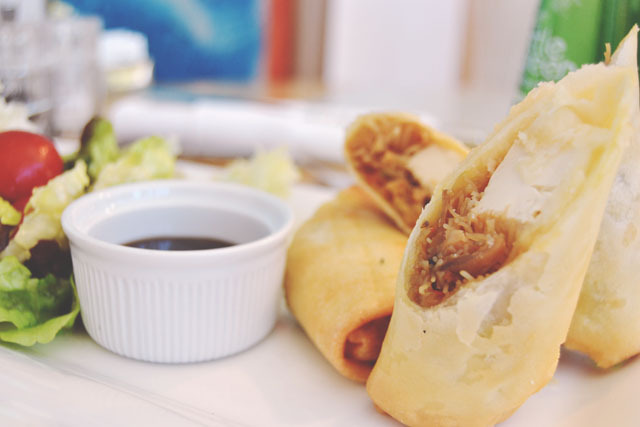 After carefully scrutinising the menu, I settled on the vegetable spring rolls, which were delicious, followed by a chocolate muffin and washed down with some refreshing elderflower water. 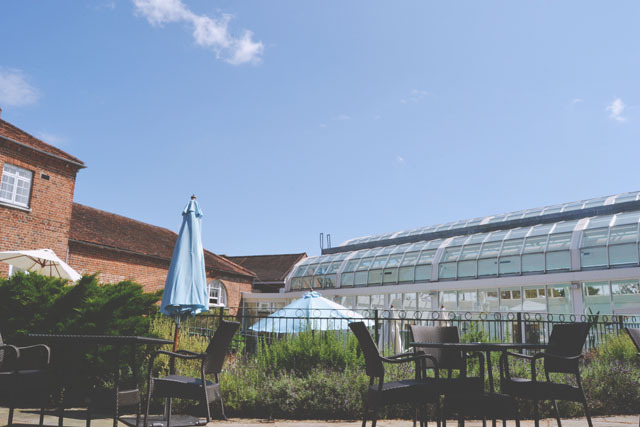 Once I'd eaten, I had half an hour to wait before my treatments, so I headed out to the pool terrace and relaxed on a fluffy, cosy sun lounger. I'd forgotten my sun cream but, luckily, there was plenty on hand for guests to use. Robin was my therapist and she began with a thorough consultation. She asked what I was looking to achieve from the experience (relaxation and destress), and allowed me to choose my own aromatherapy oils, toners and lighting in the therapy room. My treatment began with a salt and oil scrub which was perfect for scrubbing away all my dead skin. Afterwards, I rinsed off in The Most Amazing Shower I've Ever Experienced and prepared for my next treatment, a 90 minute back, face and scalp massage. It was wonderful! So relaxing and soothing- Just what I needed! Even though I was in the treatment room for 2 hours, it felt over in minutes. I didn't want it to end! 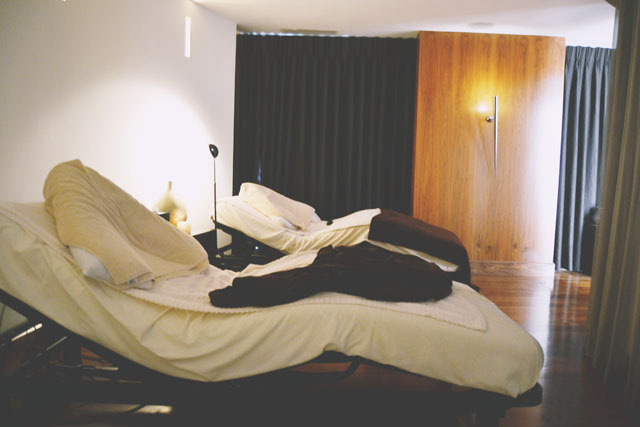 I then went to lie down in the relaxation room that you can see above. I was alone in the dimly-lit room, so it was a completely chilled out experience. 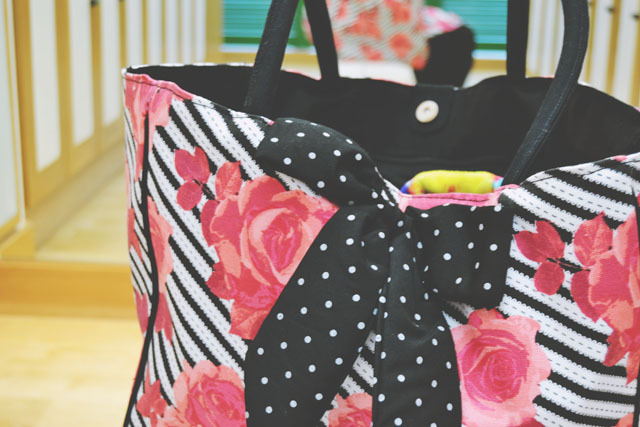 Once I felt suitably relaxed, I grabbed my Floozie by Frost French bag and headed to the pool. The tropical print beach towel is Butterfly Home by Matthew Williamson and my pineapple print bikini (which I am totally besotted with, by the way) is by Gorgeous. I also packed a hairbrush, deodorant and shower gel, although I didn't need them in the end since Four Seasons is so well stocked with luxurious ESTA shower gels. I also didn't need my Diet Coke as there were jugs of elderflower water constantly being replenished. However, I did use my lip balm, swimmer's ear plugs (since I'm not supposed to get my ears wet), my book, iPod and phone, and glasses. I was certainly prepared for all eventualities! After a whopping 7 hours at the spa, which went by in the blink of an eye, it was time to head home. I quickly took full advantage of the facilities at hand before reluctantly leaving. It was such a wonderful day, and I've already told Rich he needs to come with me one day! Thank you for a great trip, Debenhams! Oh wow. Your instagram photos made me so jealous! Looks absolutely amazing. There don't seem to be many spas in Scotland which is a shame! It's weird, it sounds like it should be relaxing but I don't think I could relax Especially not with a head massage, they are the stuff of my nightmares! Man, I need a spa day! That place looks so amazing and relaxing.